​Cost: $495, includes custom panel and palette. 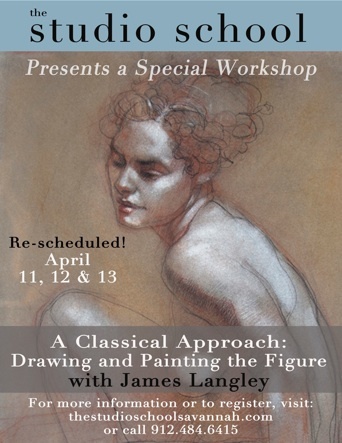 This 8 day workshop is based on passages written by Leonardo da Vinci in his notebooks on the technical principals of painting. 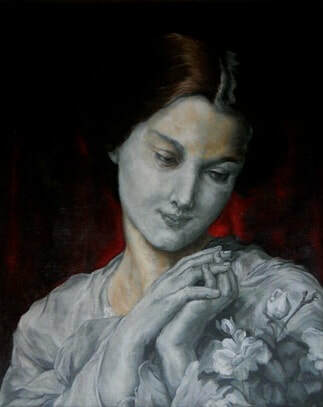 The student will be guided from the initial drawing stages, through the grey-scale "Verdaccio" under painting, and finally into the mixing of a four-color full value palette. Every color needed in the painting can be created using a combination of the four colors. These will be applied in very thin transparent layers that allow all the modeling in the under-painting to come through. Through this approach the student will gain a greater ability to see the subject, learn the meaning of the related artistic terminology and language, gain the ability to see color as value; and gain insight into the historical significance of this incredible process. This course includes costs for the required custom wooden panel and grey-scale palette (reusable) that is necessary as part of the methodology used for this workshop. Paul graduated Ringling College of Art and Design with a BFA in Illustration. After graduating he was hired by Paul Montgomery Studio, a decorative art firm where he designed and executed a wide variety of decorative arts projects for the commercial and private clients. His landscape, sky, and trompe l'oiel murals; hand painted Italian ornamental designs; and 18th century design motif reproductions adorn hotels, restaurants and homes internationally. 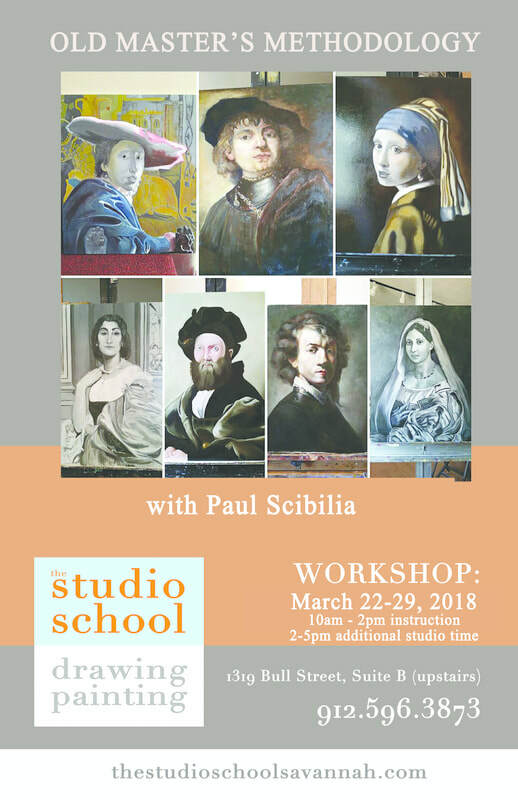 In 1992 Paul left the firm to start Paul Scibilia Studios where he continues his career as a painter and decorative artist. In 2001, his love of the techniques and style of the Renaissance painters inspired him to create a painting class at Anna Maria Art League on Anna Maria Island, Fl. The course title was "Old Masters Methodology Painting". 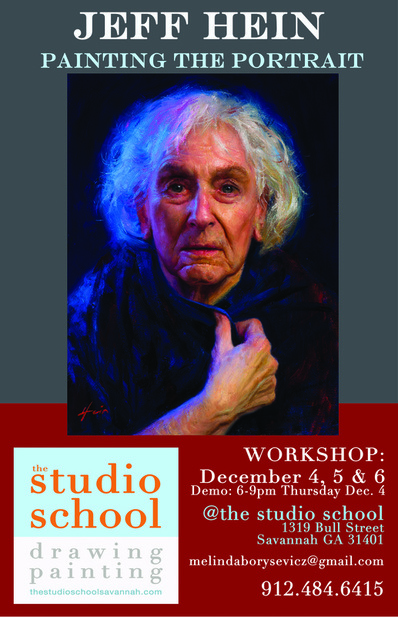 This expanded to several other art leagues in the Sarasota/Bradenton, Fl area. Now living in Savannah, Ga., Paul has continued his decorative art business. 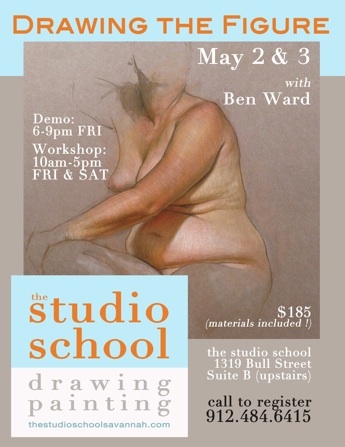 He teaches his "Old Masters Methodology Painting" course at the studio school.